Treats are a training tool for a dog owner, just like a leash is a training tool. 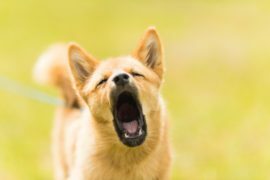 This means that many dog owners want to weigh the pros and cons of offering their dog treats when they are training them to do a new command or learn a new skill. Owners will wonder if offering a treat means that their dog will be better trained to remember commands and behave themselves. It all depends on who you talk to as to if you should use treats to train your dog. Even trainers are divided on the opinion as to whether it’s a good practice to give treats to your dog while you are training them. Despite the divided opinions, there are many things that trainers who agree it’s OK to give dog treats while training them can agree on. These are things that owners who choose to use treats to train their dog should consider when choosing which training treats to use. What Do The Trainers Say? 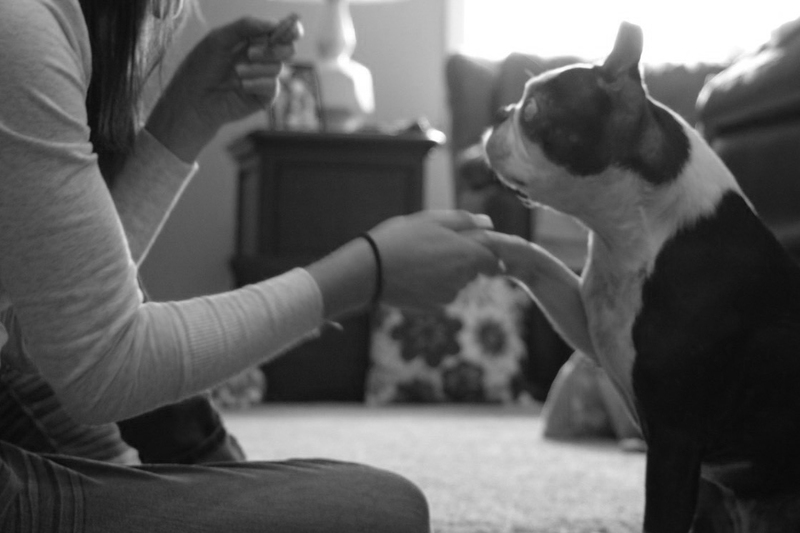 Most trainers agree that providing a dog with a treat while you are training them can encourage a positive reinforcement through being rewarded for doing what is expected of them. It’s key for you to remember that the treat is just a tool in your toolbox. Trainers also note, however, that it’s equally important to train your dog with touch when they do something that is expected of them as well. Many dogs that are never touched and are just handed food can become touch-sensitive later on in life. Petting and warm verbal praise can serve alongside or equally well as an edible treat for a job well done. Dogs will enjoy both forms of positive reinforcement. Dogs are animals that naturally seek to please and when trained can make great companions and well-behaved members of the family. What Do I Need To Remember If I Choose To Use Treats As Reinforcement? Just like a human’s diet, treats should only constitute a certain percentage of your dog’s daily calorie intake. For example, if you have a large dog on a 1000 calorie a day diet, treats should count for no more than 100 of their daily calories. Likewise, if you have a dog on a 500 calorie diet, treats should count for no more than 50 of their daily calories. In the end, about 10% of the calories your dog consumes each day can be treats, but no more. It’s key that the treat is something your dog likes and desires. If your dog does not want the treat they are not likely going to be motivated to do what is asked of them. 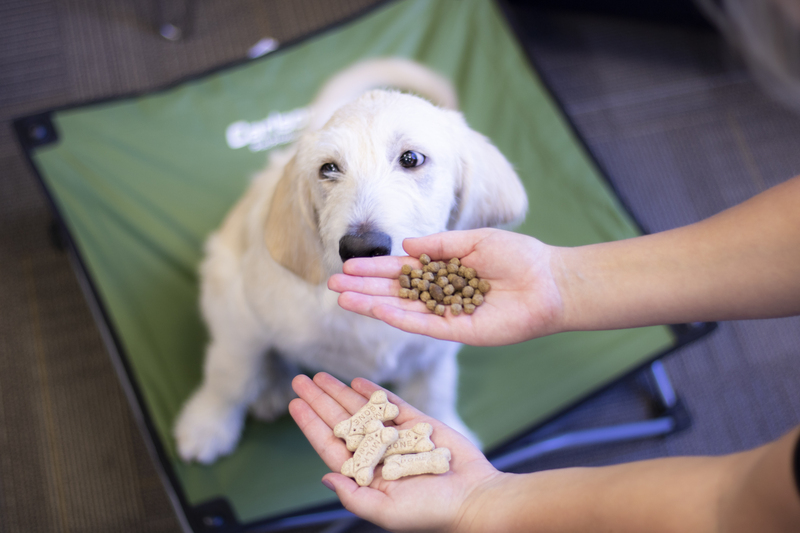 Picking something tasty that your dog loves will help them respond to the commands in a positive and excited manner. Providing a treat that the dog can eat quickly is very important. That way they can eat their treat and get back to what they are there for: the training. If eating the treat takes too long they may lose focus on why they came there and you will have to redirect them and that will waste a lot of otherwise valuable time that could be used mastering new skills. Keep the treats small so that your canine can enjoy several treats throughout a training session without causing them to go over their treat allowance (in calories) for the day. That will help make the training session successful if you can do several repetitions of the new command or skill that is being taught it will help strongly reinforce the entire concept and make it more likely your dog will remember next time you go to work on the same command or skill again. Also remember that very small dogs will need very small treats. You can test sizes by seeing how long it takes your dog to eat an individual treat. If it takes more than two seconds, you probably need a smaller treat. 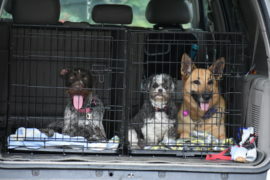 No matter what treats you are using, giving your dog a home base like a portable cot that they are familiar with. When they have a place, it can help make training much easier, as it keeps the dog knowing where they should be and respecting the authority of the figure training them. When you are using treats as reinforcement, it’s important to remember that treats should never be used as a singular (solitary) form of positive reinforcement for a job well done for your canine friend. Also, while training your canine keep in mind that treats can increase focus and create a positive association for your dog. However, trainers will warn against relying on treats for too much for reinforcement as it can create some food dependency and often results in over-stimulation. 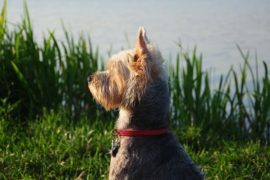 In some cases, it may also fail to build respect with the dog if it’s the only form of reinforcement you choose to use. Instead, try using excited and warm praise to enforce that they are doing what you want them to do.